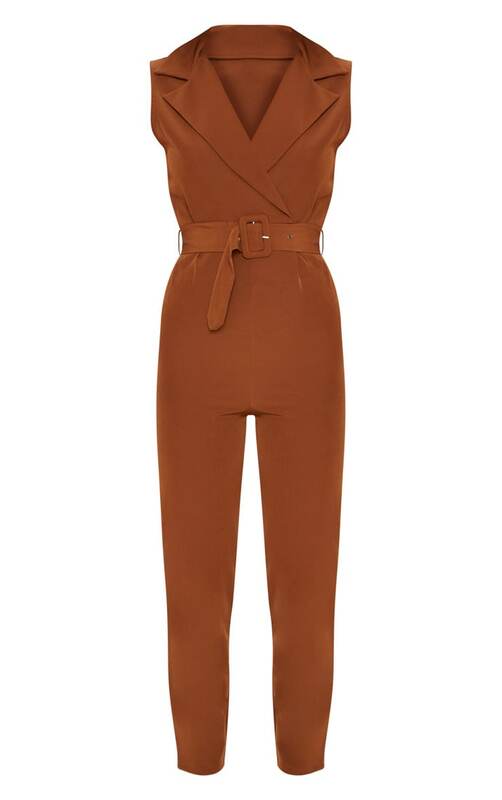 This simple but chic jumpsuit is perfect to make a statement this weekend. 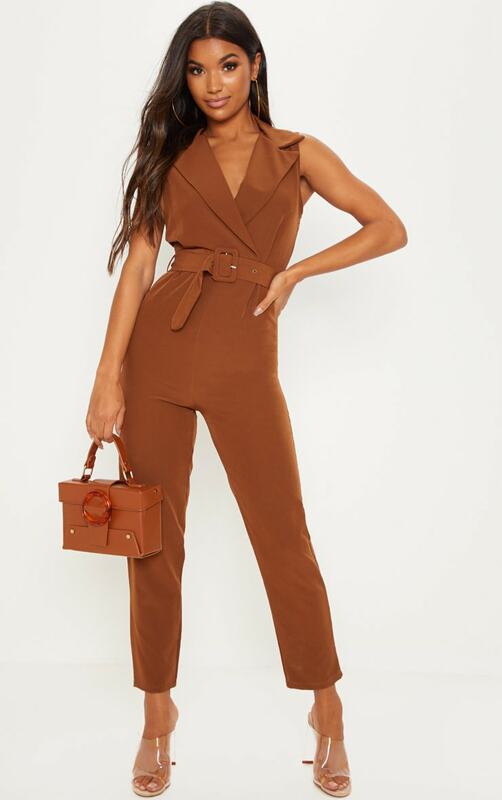 Featuring a brown material with a collar detail and a zip fastening. Team this with sky-high heels and some statement earrings to complete the look.